LAS VEGAS — April 7, 2019 — Sony and CenturyLink Inc. (NYSE: CTL) are collaborating at NAB Show 2019 to complete a remote production between two different locations in Las Vegas. With the HyperX eSports Arena in the Luxor hotel as the remote operations base, Sony and CenturyLink will produce a live feed remotely from the eSports Arena’s gaming tournaments. Using a remote production workflow built around Sony’s portfolio of IP-based products, coupled with Sony’s new Live Element Orchestrator system orchestration solution, resources will be coordinated intelligently and shared between the two environments. The entire remote production environment will be built on the SMPTE ST2110 standard with Sony IP equipment and a 10GbE Wavelength network provided by CenturyLink. Sony’s XVS-7000 3G switcher will reside in the Las Vegas Convention Center and will operate in 4K alongside a full complement of production equipment, while an XVS-8000 switcher at the eSports Arena will be running in HD. This type of transition would usually take hours of reconfiguration in current environments and might still leave content creators wondering if they changed all settings on all devices correctly. The Live Element Orchestrator coordinates this transition and intelligently choreographs all production environments, significantly reducing the amount of downtime between shows and making more efficient use of the production resources. As broadcasters are tasked to do more with fewer resources, IP-based remote productions provide viable tangible benefits, allowing them to efficiently deliver more content and share resources, while reducing costs and maximizing output – all with no discernable latency between the video sources. Experience the power of resource sharing, orchestration and simultaneous production during Sony’s and CenturyLink’s eSports remote production at NAB. The live transmission will be demonstrated each day from April 8-10 at 1:00 pm/PT in the Sony Booth #C11001. Sony Electronics is a subsidiary of Sony Corporation of America and an affiliate of Sony Corporation (Japan), one of the most comprehensive entertainment companies in the world, with a portfolio that encompasses electronics, music, motion pictures, mobile, gaming, robotics and financial services. Headquartered in San Diego, California, Sony Electronics is a leader in electronics for the consumer and professional markets. Operations include research and development, engineering, sales, marketing, distribution and customer service. 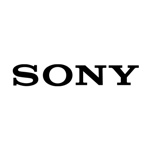 Sony Electronics creates products that innovate and inspire generations, such as the award-winning Alpha Interchangeable Lens Cameras and revolutionary high-resolution audio products. Sony is also a leading manufacturer of end-to-end solutions from 4K professional broadcast and A/V equipment to industry leading 4K and 8K Ultra HD TVs. Visit http://www.sony.com/news for more information.